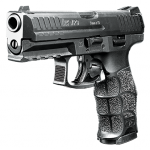 HK drops the hammer with its all new VP9, creating a new striker-fired 9x19mm for the 21st century! The VP9’s controls are easy to activate, which will enhance your speed, and the customized grip helps reduce perceived recoil for fast follow-up shots. 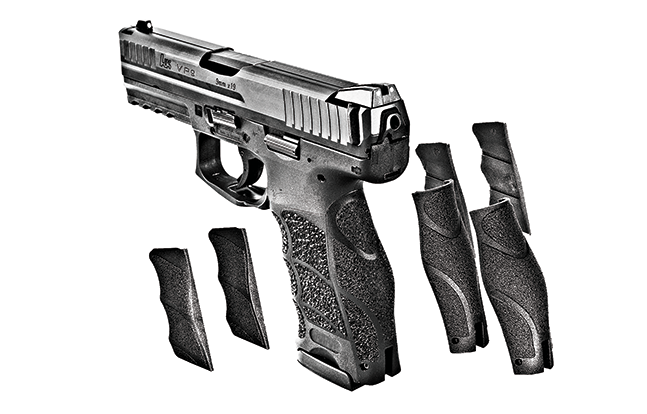 Heckler & Koch designed the 9mm VP9 so that it can easily be adapted to fit each operator. Shooters can alter the grip with interchangeable backstraps and side panels to find the perfect fit. The VP9 combines the ergonomics and handling characteristics of the next-gen HK P30 with an ultra-reliable striker-fired operating system. HK’s competition shooters found the VP9’s trigger much better than other polymer-framed designs due to its short reset and predictable break. 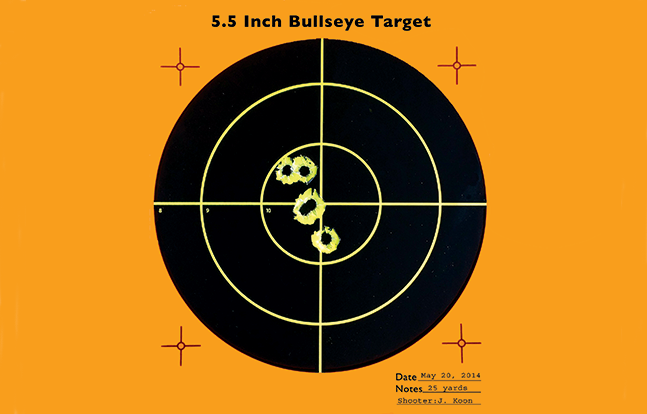 This test 5.5-inch target, placed 25 yards downrange, shows the VP9’s accuracy potential. 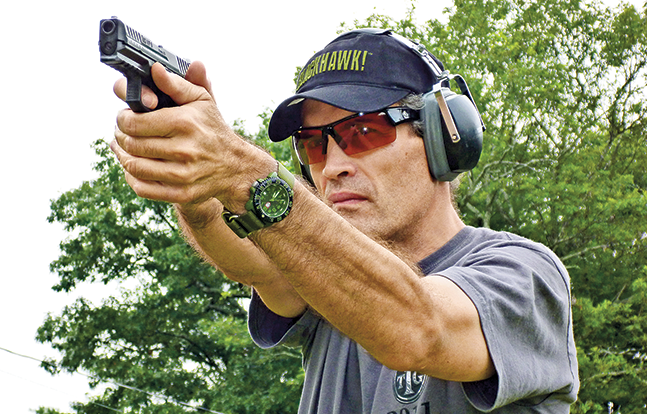 The author’s own testing backed up these results, and the pistol digested over 300 rounds flawlessly. 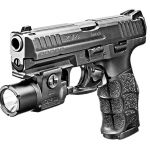 It’s been a long time coming: the first striker-fired, polymer-framed pistol from Heckler & Koch since the VP70 and P7 pistols were discontinued. 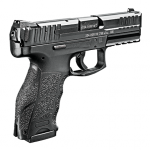 While the VP70 shares some characteristics with the VP9 (namely its polymer frame and striker-fired system), the VP9 is closer in form to the P30 series of pistols because it uses a similar frame, slide, sights and magazine. 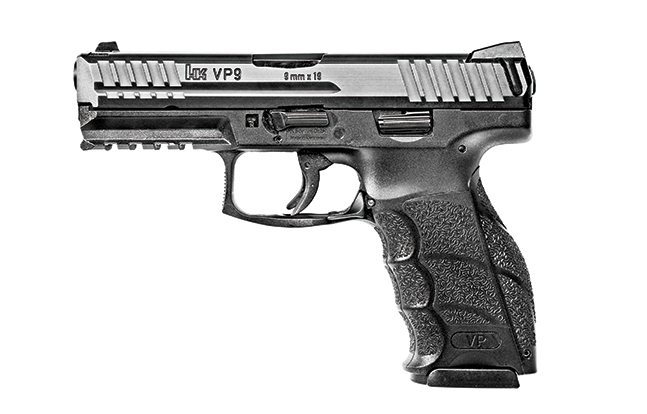 The VP9, however, is not merely a striker-fired P30, because it differs in several ways aside from the trigger. 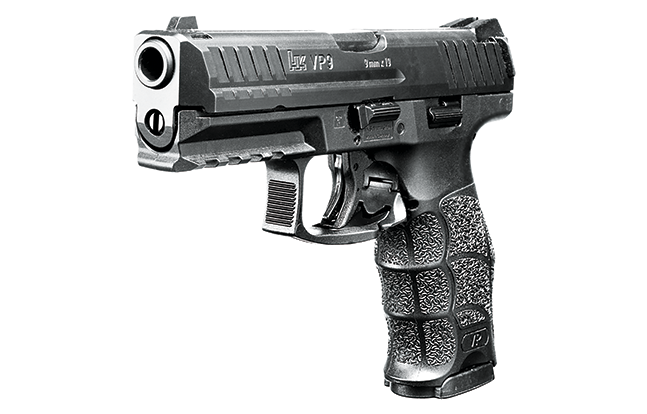 The VP9 is a German-made, full-sized, polymer-framed pistol that uses the familiar tilting block, locked-breech design. With an overall length of 7.34 inches and a height of 5.41 inches, the VP9 fits right between the compact P30 and long-slide P30L pistols, and sports a reasonable price tag of $719. 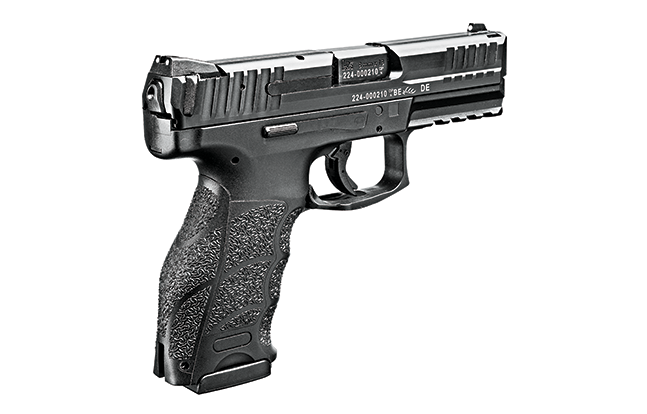 The VP9 employs a single-action system, meaning the cocked striker only moves forward when released. This is in contrast to Glock triggers that pull a pre-tensioned striker slightly rearward before releasing. The cocked striker can be seen through a small hole at the rear of the VP9’s slide. Like the Glock, the VP9 has a pivoting trigger safety toggle that prevents the trigger from moving rearward unless depressed. This serves as a drop safety that is supplemented by a firing pin safety that rotates out of the way, allowing the striker to be released only when the trigger is depressed. This allows a round to be safely carried in the VP9’s chamber. 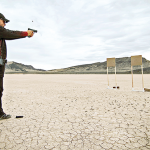 The main benefits of striker-fired pistols are a low bore axis that channels recoil more directly backward and a consistent trigger pull that is lighter than most double-action, hammer-fired pistols. 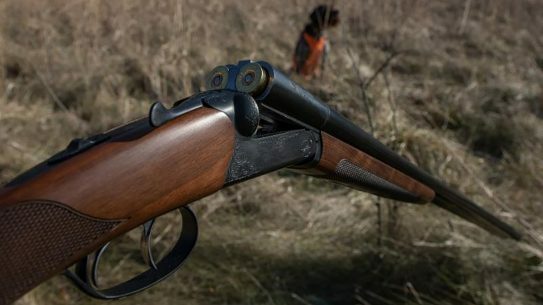 The drawback of many designs, however, is the trigger, which many shooters tend to find springy, imprecise and increasing in weight of pull during its travel. 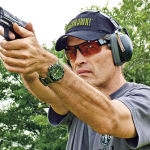 HK focused on a better design for the VP9, and though it doesn’t have the trigger stroke of a 1911, the 5.4-pound trigger breaks predictably after discernable creep of about 0.1 inches as the sear drops down out of contact with the striker. Trigger resistance builds quickly rather than gradually, and that steep resistance curve makes the break feel crisper than most and not springy. The reset is also short and readily felt. The trigger’s geometry is also quite good, with a wide trigger shoe that makes the pull weight seem less than it measured and a trigger toggle that fully recesses into the shoe and does not protrude slightly like other designs. The VP9 field strips with an added measure of safety because the takedown lever will not rotate unless the magazine is removed. Also, rotating it decocks the firing pin and allows the slide to move forward off the frame without having to pull the trigger. 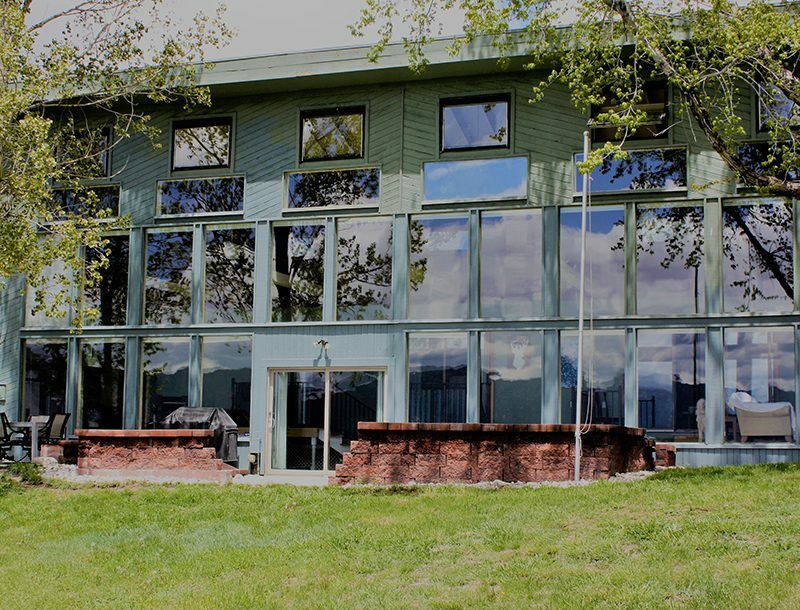 The slide is very well engineered in some subtle ways. It is milled from a single, forged piece of high-carbon steel and has a profile that tapers from bottom to top. 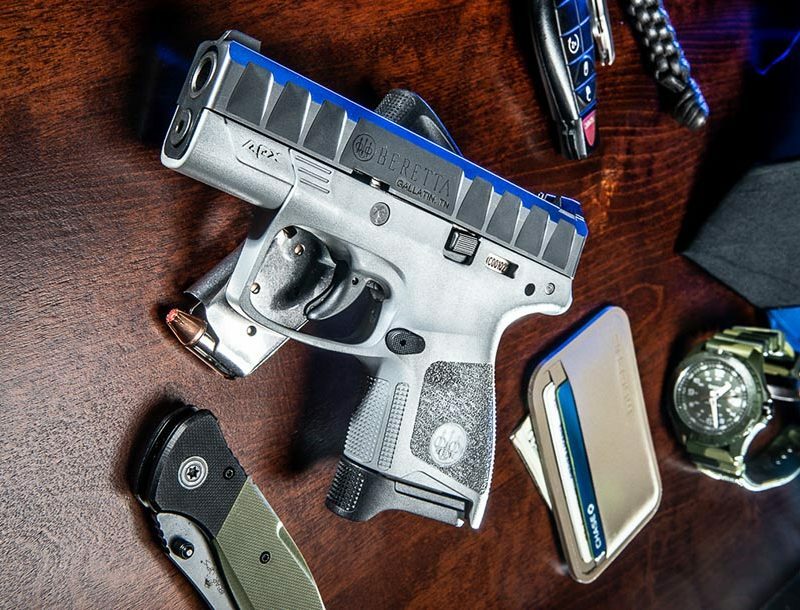 This taper makes the pistol far more comfortable to carry inside the waistband than blocky, square-profile slides where the slide may be in contact with your body. 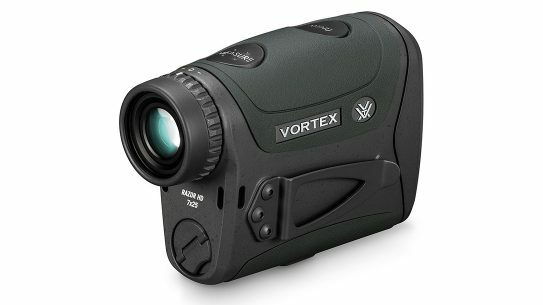 Its taper towards the top also tends to guide the shooter’s attention towards the sights. Front serrations on the front of the slide make press-checking the chamber easy. Two detachable “charging supports” protrude about 0.13 inches from the rear of the slide and are intended to make racking the slide easier for shooters with reduced hand strength. The slide assembly rides on four steel rails that attach to the frame in a manner different from other polymer-framed HK pistols or Glocks that use relatively small rails individually molded into the frame. The VP9 uses rails that have longer bearing surfaces (especially the forward rails) and are connected to a one-piece stainless chassis that holds the locking block and is pinned into the frame on the front. 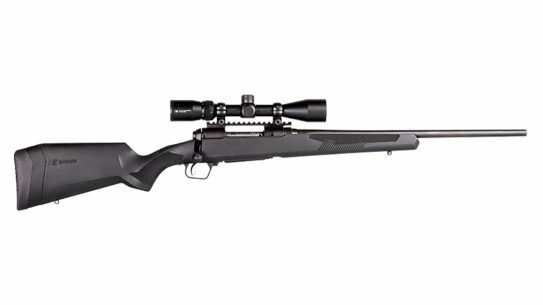 The chassis also holds the trigger pin, slide release lever pin and the rotating steel crossbar that locks the slide assembly to the frame. The rear slide rails are part of the trigger housing. The VP9’s pinned-in rail design allows for rail replacement without having to replace the frame, and it appears to be a much more durable method than separately molded-in rail inserts. 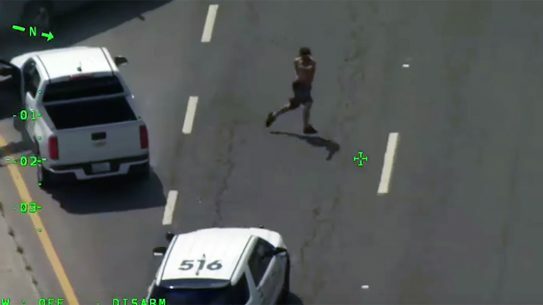 That being said, the only rail failure I have heard of with a P30 was during an HK-commissioned torture test in 2010 where one rail insert broke off the frame at just over 90,000 rounds. The VP9 adopts the first-rate ergonomics of the P30 embodied in the ambidextrous slide and magazine releases and the highly configurable grip. The slide release levers are easy to reach with the thumb of the firing hand and are designed to chamber the first round from the magazine. 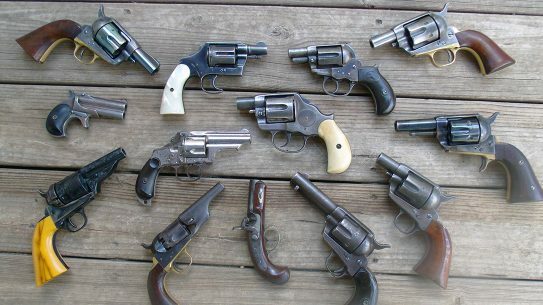 Other gun-makers advise racking the slide with the support hand to chamber a round and equip their pistols with very small slide-lock levers to discourage the one-handed method despite it being much faster. Those small, difficult-to-activate levers are also a hindrance when clearing a double feed, which requires locking the slide open. 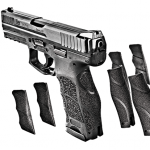 The VP9’s ambidextrous magazine release levers are at the rear of the triggerguard. 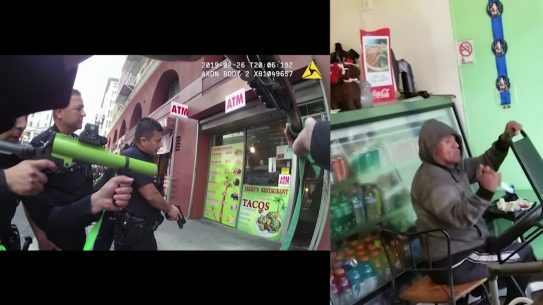 Shooters are meant to use their trigger fingers—not their thumbs—which would require a change of grip for most people. To release the magazine, simply slide the trigger finger rearward along the triggerguard or quickly tap the lever with the tip of your finger. 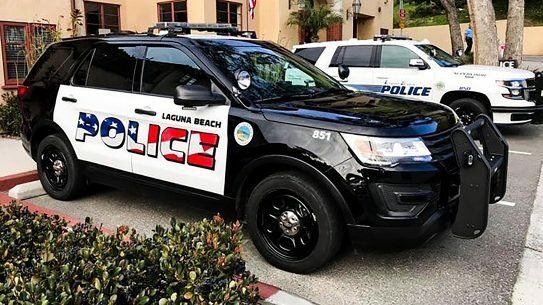 Like the P30 series, I consider the VP9’s grip design “best in class.” The grip has shallow, wide finger grooves that accommodate fingers of different sizes. This engineering is all about making the pistol more shootable, not enhancing the “cool factor” that drives so many cosmetic features on firearms these days. The VP9’s grooves are far better than narrow, deep grooves that fit fewer shooters’ hands well and often impede a secure, tight grip. The VP9’s grip circumference and trigger reach can be tailored to fit hands of different sizes by removing a single roll pin and substituting one of three backstraps or side panels. Interchangeable backstraps are old hat, but the VP9 and P30 series are still the only production pistols to offer different side panels to increase its “made to fit” qualities. 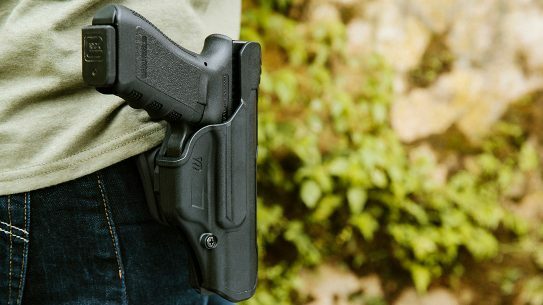 Comfort matters, but optimal fit is critical to controlling and recovering from recoil and quickly accessing the slide lock and magazine release with only the firing hand and without adjusting the firing grip. The same careful engineering applies to the oversized triggerguard, which allows a gloved finger adequate access. The size is about safety and speed. 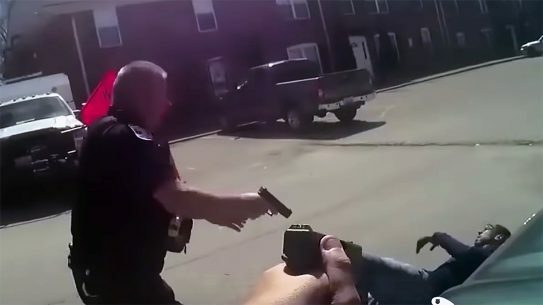 Gloved fingers can cause unintentional discharges if squeezed into small triggerguards because the shooter thinks his or her finger is not contacting the trigger when it is actually depressing it with the added girth of an insulated winter glove. 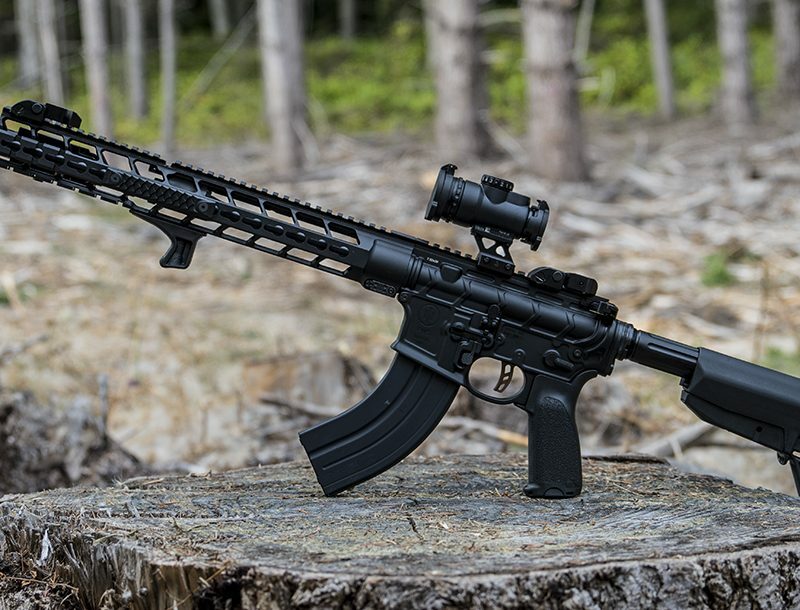 The cold-hammer-forged barrel has polygonal rifling that lasts longer than traditional land-and-groove rifling but is suitable only for jacketed rounds. Using lead bullets can cause lead to accumulate just ahead of the chamber, which can increase chamber pressure. HK explains that its barrels are made from a special grade of abrasion-resistant cannon steel that lasts extremely long. The VP9 is tested to withstand all SAAMI 9mm loads and the higher-pressure, non-SAAMI-specified +P+ loads that approximate the velocity of some .357 Magnum loads. The VP9 uses green luminous night sights in a three-dot configuration rather than the radioactive tritium-filled units that are prohibited in Germany. Luminous sights need to be charged by exposing them to light. Mounted in dovetails, these sights are made from steel, not polymer, and are windage adjustable by drifting. 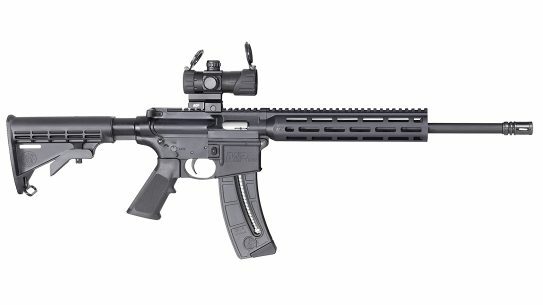 Underscoring one of several design features that separate this pistol from its competition, the sights are intentionally mounted at the very front and rear of the slide to maximize the sight radius and improve shooter accuracy. The rear sight is also tapered towards the top to quickly guide the shooter’s attention to the front sight. The VP9 is very well made. The recoil spring guide rod is made of thick steel—not polymer. The pistol’s parts are well fitted and finished to a point that goes way beyond what is required to make an accurate, reliable firearm. 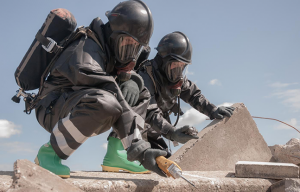 Even inside the slide, on non-critical areas, you will find smooth surfaces with very few tool marks, which makes for quicker, easier cleaning. This extra care in manufacture, though superfluous to function, is part of the appeal of Heckler & Koch pistols. 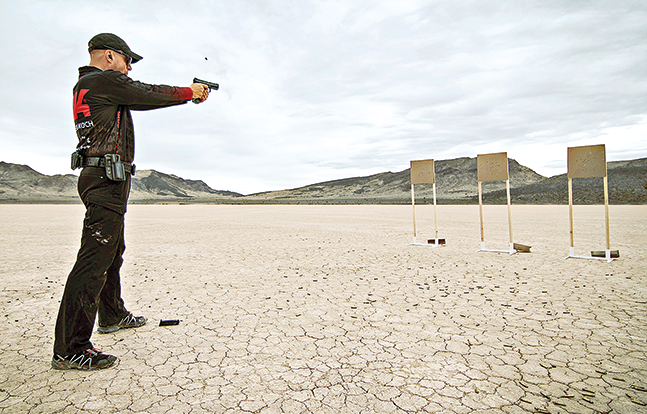 At the range, the VP9 was accurate and totally reliable with multiple types of ammunition. 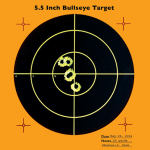 The average five-shot group size with all ammunition was less than 2.5 inches from sandbags at 25 yards, and these results could easily have been better with improved conditions at the range. The smallest group, produced with Sig Sauer’s new 124-grain JHP load, was 1.4 inches, followed closely by Winchester’s 115-grain FMJ with a group measuring only 1.5 inches. 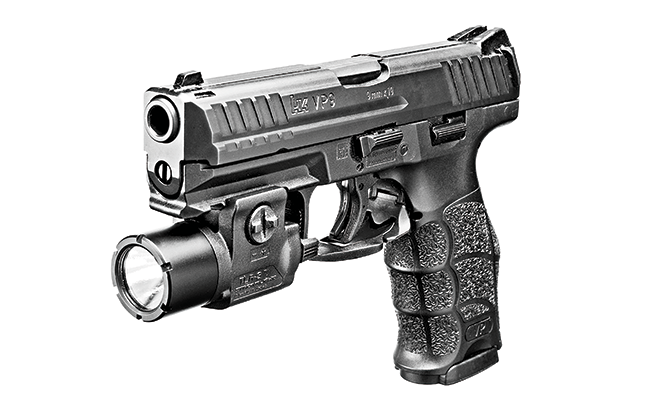 The VP9 also did not require any sight adjustments. The luminous sights are quick to acquire even in daylight and give a much cleaner sight picture than most night sights that have a white-outlined circle in which the tritium insert fits. Tritium sights are very functional in darkness, but in other light conditions they can make it harder to acquire a hard front-sight focus. In a low-light, indoor shooting session, the VP9’s sights were easy to pick up when charged from a flashlight. For me, the sights could be improved by making the front sight a different color and creating a small step on the angled forward surface of the rear sight. The VP9’s ergonomics and trigger made it perform very well during practical drills where I used a CrossBreed IWB holster. 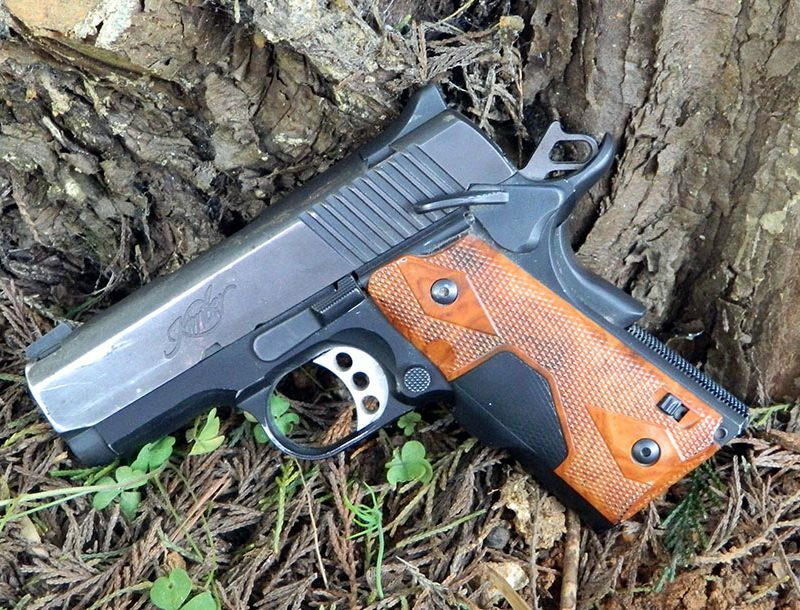 Perceived recoil was light and manageable thanks to the exceptionally well-fitting grips. 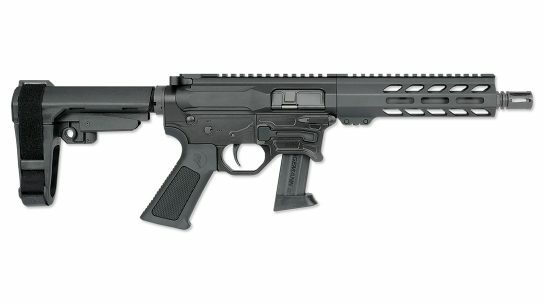 The magazine release levers—though some may be accustomed to a push button—are easy to activate quickly with the correct technique. 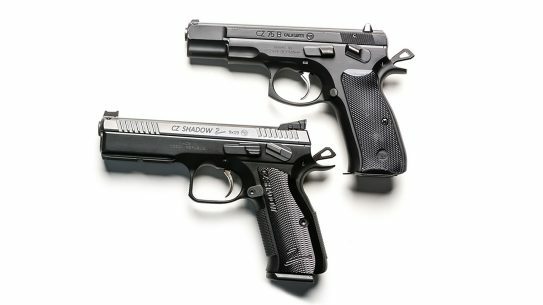 HK always takes longer to research and develop new designs than other arms-makers, and, as a result, does not bring as many new products to the market as some of its competitors. 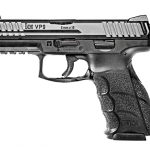 However, HK’s approach—evaluating all other designs and consumer feedback on what works and needs improvement—can produce a superior product, with the VP9 being a prime example. This pistol improves on many factory triggers used in striker-fired designs in a much more affordable sidearm than prior HK models.